At Southeast Bottling & Beverage, we offer a variety of services to make your job as simple as possible. 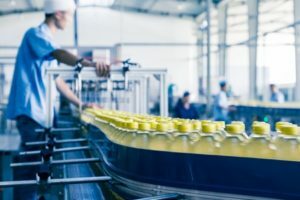 In addition to facilitating product formulation, managing product manufacturing and bottling your product, we also offer consultations for those seeking to get the most of their co packing partnership. With the help of a beverage consultant, your company can go beyond simply supplying large quantities of product and strategically produce and price your greatest asset. Unlike other co packing companies who offer little to no industry insights, our team of experienced bottling professionals will work with you to optimize your inventory. As one of the most trusted co packing companies for those in the southeast, we handle all of the details of manufacturing and packaging, so you don’t have to. Our 76,000-square foot, state of the art facility is equipped to handle any formulation, manufacturing or packaging needs your product may require. In addition to our extensive industry knowledge, partnering with Southeast Bottling & Beverage will help you scale back your lead time as well as increase production volume. In other words, we’ll help you grow your business with ease. If you’re interested in increasing your production volume, reducing your lead time and guaranteeing your product’s quality, contact a beverage consultant at Southeast Bottling & Beverage today. We’ve helped representatives throughout Florida, Georgia, Alabama, New York, New York, New Jersey and the surrounding states to increase their profit margins exponentially through our consultation and turnkey co packing services.